I’d like to introduce you to one family who will benefit from the new peds building (click link to see a 3 minute video). 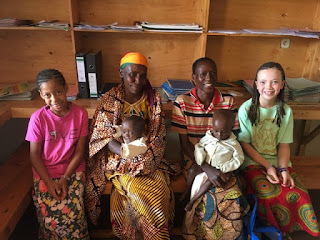 Some of the long time blog readers might remember the story of the triplets who Eric wrote about 2 years ago. 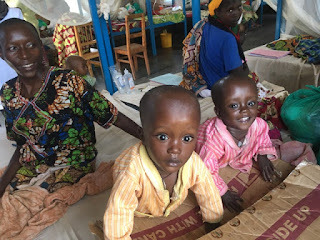 Well, the two remaining triplets are now 2 1/2 years old and they’ve been hospitalized three times on the malnutrition service - spending months of their lives at our hospital. 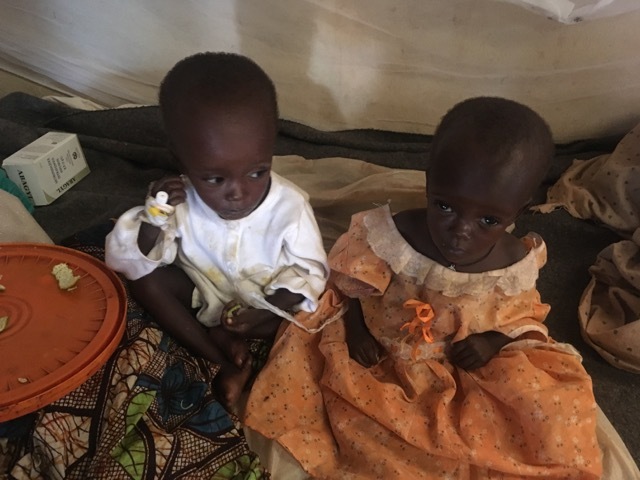 Their mama understands what nutrition they need and does her best to care for them at home, but repeatedly she watches them become thinner and sicker, and finally she decides to take the arduous four hour walk to our hospital carrying both kids. I recently read a study highlighting the high (20%) mortality rate of twins in sub-Saharan Africa - three times that of non-twins - and that includes countries with much better infrastructure than Burundi. 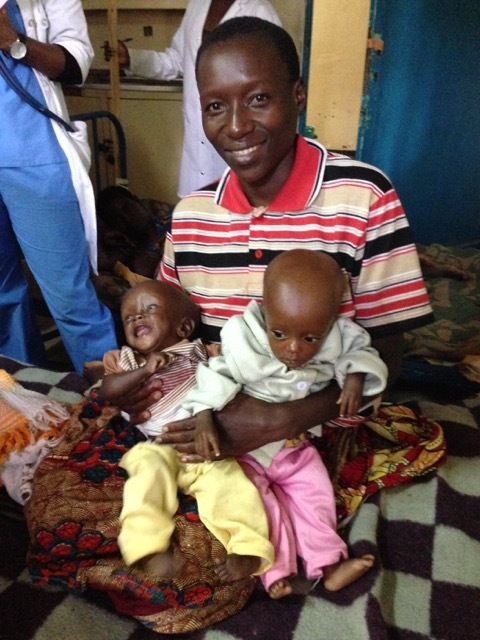 So it’s easy to imagine that the mortality rate of twins or triplets in Burundi is much higher. 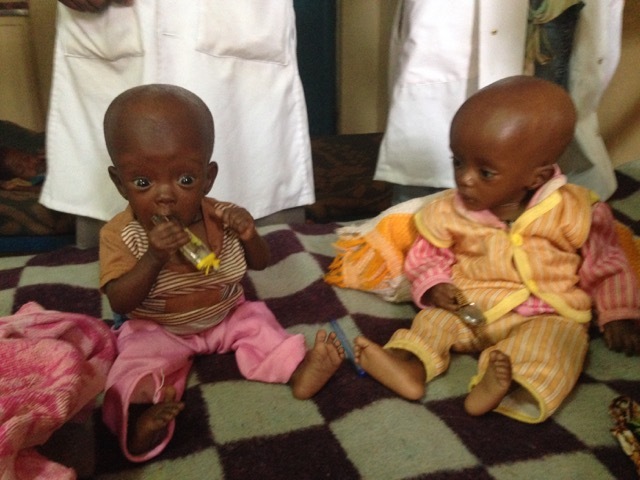 We always have several sets of twins in the hospital - usually premies in the NICU and kids on the malnutrition service. It’s so hard for mothers who are also malnourished to have enough milk for two babies at once. Eliana (left) and Rita (right) are both 2 1/2 years old! So for Emery and Rita it’s two steps forward and one step back - especially this month. They were doing great and ready to go home (though still only weighing 10lbs and 13lbs) but I wanted them to stay in the hospital a little longer so they could learn to walk with Judith and Anna through some intensive physical therapy. I regret that decision now as they both caught serious infections in the hospital partly as a result of our overcrowding and they almost died. Praise the Lord who healed them one more time! They’re thankfully heading home once again now, and the mother will continue the physical therapy at home. 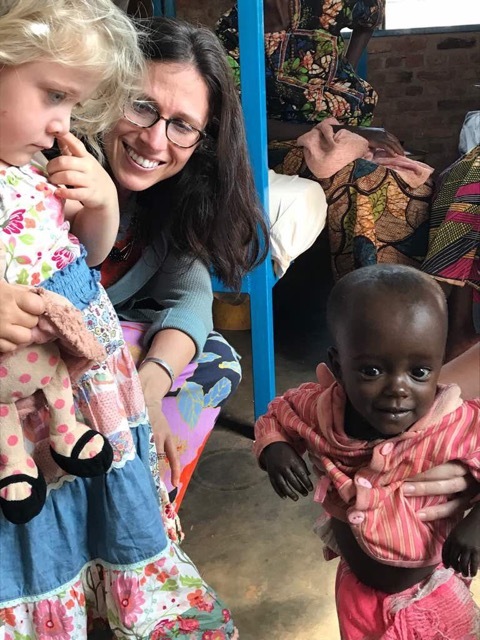 But I look forward to the day when we will have a new pediatric ward with enough beds for each patient and a dedicated play room to help with the development and sensory stimulation for these kids. And I hope that when patients are no longer sharing beds, that the risk of them also sharing infections will decrease dramatically. 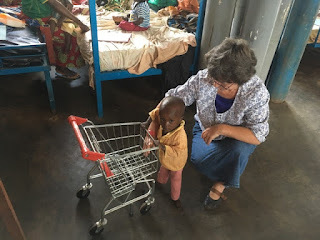 Please pray with me for Emery and Rita and the many other patients we take care of with severe malnutrition and pray for God to provide the funds for a new well-lit, clean space in which to care for them. 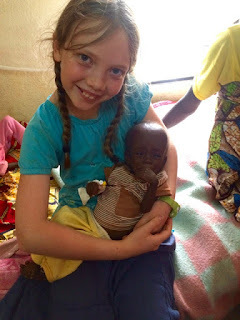 God has big plans for these little ones! He is saving them for His good work; and what fighters they are. You are making wise decisions daily as you oversee the care of so many.